Monitor your electricity usage using the Owl Intuition-E. Your usage is uploaded to you own account on the cloud. Store & Access your usage on your smart phone. Support is available at the Owl Helpdesk here. The Smart OWL Smart Energy Monitor use the OWL Intuition web dashboard to display energy consumption data on any web enabled device, rather than on a single display unit. Owl’s dashboard shows a range of data over different time periods. This data can also be viewed on a versatile graph to see particular events and what electricity is being used in the house throughout the day. For those who wish to delve deeper, the data can be exported via a CSV file for further analysis. Of course you can view your dashboard on your smartphone as well if you want to, by downloading our special app. This allows you to determine how much energy you’re using while out of the house as well as whilst you’re present – and by doing so improve your usage habits to save money in the long run. Allows monitoring of single-phase electricity usage across a property. Shows live readings to 12 second intervals, and a historical account of your usage, also telling you when you’ve improved your usage habits. User configurable tariff settings allow the unit to calculate what you’ve spent over the course of a day, week, and month. There are three such smart electricity monitoring products available. OWL Intuition-e is for use in most UK households with a single phase supply. 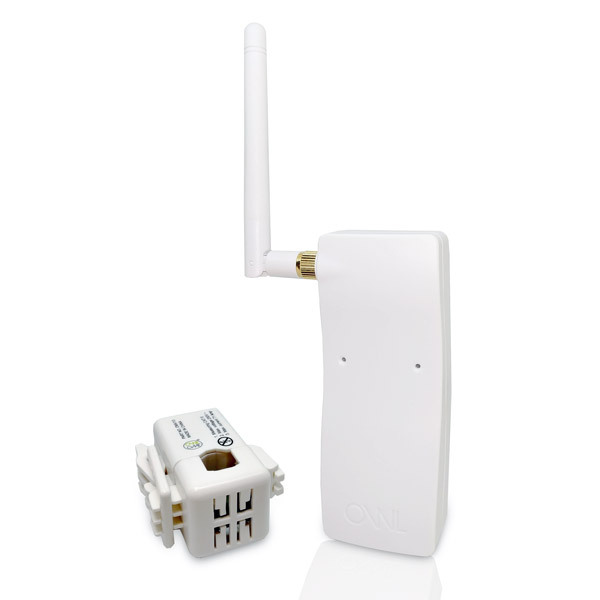 OWL Intuition-lc is for houses and light commercial premises with a 3 phase supply, and can be supplied with Small (70Amp) or Large (200Amp) capacity Sensors. OWL Intuition-pv is specially designed for monitoring generation, export and consumption in premises fitted with Solar PV generation – and can be purchase in single-phase or three-phase variants to meet your needs.